You may be surprised how your home value has increased. Since 2011 home values have increased significantly throughout the country, with prices rising by 5.1% in 2018 alone. When homeowners were surveyed, they revealed the top four reasons why they felt their homes had increased in value. During 2018, home values increased nationally by over 5%! The average homeowner gained $16,200 in home equity between the second quarter of 2017 and the second quarter of 2018 according to the latest release of CoreLogic’s Home Equity Report. If you are a homeowner who would like to find out your current home value, contact Wenzel Select Properties at (630) 430-4790 to discuss the hidden opportunities in your home! If you plan on buying a home this year, it doesn’t make sense to wait! Mortgage interest rates and home prices are both projected to increase as much as 5.3% throughout 2019. On top of that, home prices are projected to be 4.8% higher by the end of the year. If the projects come true, your home will end up costing you significantly more the longer you wait. 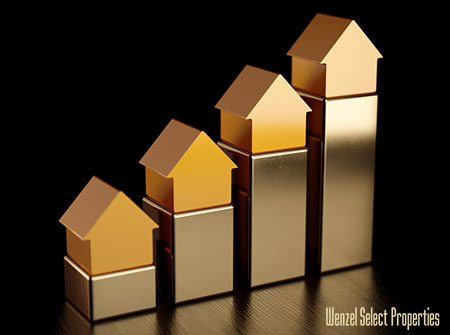 Whether you are buying or selling a home, Wenzel Select Properties thrives on finding you the best real estate solution. Our team at Wenzel Select Properties offers expert real estate assistance tailored to meet your unique needs. Our real estate agents excel at providing our clients with personalized support throughout the entire real estate experience. Contact Wenzel Select Properties at (630) 430-4790 and ask to speak with a real estate professional to assist you with buying or selling a home. We are conveniently located at 4941 Main Street in Downers Grove, Illinois.